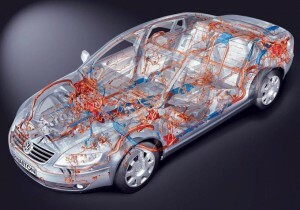 Would you like your car to be more efficient, more flexible, has got more power and less engine combustion? We can provide you the tuning that increases the vehicle’s power within the range of 8-30% depending on the type of engine with no adverse effect to its condition. All cars that are equipped with the automatic injection systems are simultaneously supplied with the control unit or simply ‘general controller’. This computer is known as Engine Control Unit (ECU) and is responsible for the appropriate engine’s operation. In order to ensure the engine efficiency in different conditions, ECU manages the fuel supply and the starting car ignition. The additional feature of the ECU continuously converts the stored data and update the engine’s properties at the basis of various indicators such as the lambda sensor, air flow and temperature. The chip in the context of tuning are modifications of engine control software located in the Engine Control Unit. The professional terminology describes ‘chip’ as an integrated circuit When the computer manages the engine’s operations, we usually modify the components of internal memory. The key element of chiptuning services relies on the program’s sophistication and its comprehensive modification. Chiptuning refers mainly to the changing of the chip that manages the car’s Engine Control Unit in order to obtain better performance, cleaner emissions, and better fuel economy. First of all, there are many examples when the particular engine works permanently without proper fuel and uses poor quality consumables. This twofold situation can bring positive effects (it saves against the failure of users who do not care about the car and do not provide the basic service) as well as negative ones (it entails loss of power). The loss of power is not less than 15% for cars without a compressor, and approximately 50% for cars with the compressor. The manufacturers pursue low fuel consumption at specific checking point (e.g. at 90km/h or 120km/h) and omit the similar performance at lower circulation. The high revolutions limits (below 3000r/min) aims to improve the performance level during city ride but at the same time decrease the level of car flexibility. The auto taxes and duties in the Western Europe are associated with the engine’s power that is why the cars offered in Germany has less power than their counterparts in Japan or U.S. In particular, the average engine power of Honda 1.4 VTEC vary in relation to the individual country e.g. Germany – 75hp; Poland – 75hp or 90 hp; Japan – 100hp. However, you do not need to lose this power anyway! What can we expect and what we gain? The manufacturer warranty is key element which affects the chiptuning services. In general, if you implement the chip to your car it usually leads to a loss of the manufacturer’ warranty. However, our modifications are made in a way that authorized diagnostic tools are unable to recognize the ECU’s modifications. However, more advanced investigations (e.g. dynamic tests) may show differences in relation to regular auto performance. Without your own report, it is unlikely to the service to find out any software upgrade in your computer.